Congrats to Brittny Thompson for winning this giveaway! Today we have an awesome giveaway in partnership with Danielle Oakey Interiors! Decorating your home can be such a fun an exciting process, and it can also feel stressful and never-ending. Sifting through thousands of rugs, lamps, chairs and knick-knacks for that one special piece takes a real investment of time. Danielle knows all of these things and she wants to make creating that perfect room more fun and less work for you! So we teamed up with Danielle to give one lucky reader a $300 room overhaul with Danielle. She does all the scouring and planning and brings you the best of the best stuff at her unbeatable designer discount rates and you get to sit back and watch it all unfold. Keep reading to enter! Leave a comment letting us know which room in your house Danielle would be e-Designing with you if you win. Like Danielle Oakey Interiors on Facebook! Here are a few more of Danielle‘s e-Designs! If you have any questions about sources email her at danielle.oakey at gmail dot com. Also, head to her blog to read and see pictures of the room’s in the Small Fryers houses where our kids play most! I would probably choose my living room. Thanks! I would love to have my living room designed. Time for a redo. I was just thinking about it yesterday. Thank you for the chance. I would love to finish decorating my son’s bedroom. Can’t seem to put it all together! I would choose my guest room/office! I need help! My bedrooms needs an update! Our craft/office space. Living in a shotgun can make for a weird setup, this room is the first room everyone walks through, but it’s also the messiest little mish-mash- I could use some help! Front room, for sure. When we moved in a few months ago, we set up the space in a way that works, but not in a way that I love. I live in a studio but it would be amazing to have help with our living room area! thx! We have this strange middle room that acts as a hallway, dining room, and office – I could definitely use some help making it more efficient and beautiful! Oooh I would love her to redesign my family room. I love everything in it, but nothing really goes together! Or maybe my little girls room that is soon to be shared with a baby brother! My husband and I just moved into a new house last week and there’s so much work to do! But if I have to pick just one room, I’d pick our office/library. It’s such a mess of bookshelves and cabinets we’ve collected over the years and it’s so ugly. I like Danielle on FB! I just liked Danielle’s FB page, too. Last but not least, I liked SmallFry on FB, too! Phew. Definitely our office/play room. It is in dire need of some organization! My hubby and I just found out that we are packing up our little small fry and everything we own to move over to AZ next month! Some help in making our new apartment feel like home would be out of this world awesome! Our main living room is my main concern. Crossing all my fingers for this one! I would love some help with my living room…I’ve always been a huge admirer of Danielle’s style. It’s nice to find your blog as well Small Fry! Oooh, it would be so hard to pick! I think my bedroom. I busy mom needs a place to retreat to! I love Danielle’s style, such a talent! I would probably pick my living room. We just got a new sofa and have sort of a blank slate in their right now! and lastly, pinterest. phew! Thanks for the lovely giveaway. I WOULD LOVE ME SOME DANIELLE OAKEY!!!! I WOULD LOVE TO SEE WHAT SHE COULD DO TO HELP WITH MY MASTER BEDROOM. 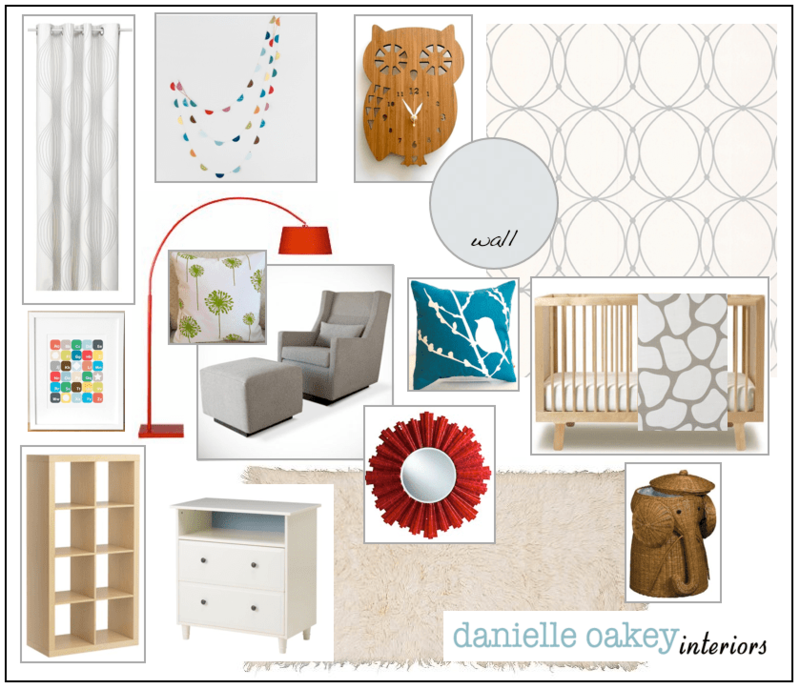 I would love to see what Danielle would suggest for my master bedroom! Nursery for baby on the way! Already following SM on fb! I need major help with my living room, Danielle’s style would be a great help! Following SM on Pinterest too! Liked Danielle Oakley interiors on fb. Crossing my fingers! I would love for Danielle to make-over our brand new living room that we will move into in a few months! I like Danielle Oakey’s FB page! I would get help with my older boys’ bedroom! Our master bedroom has been neglected…Danielle’s help would be awesome! Thank you! Oh! My living room, definitely! Help please! I would definitely choose my living room! I would probably choose my living or dining room. I need help everywhere! I already follow Danielle on FB. Now following Small Fry on Pinterest! I would love help with my master bedroom. I would love help in designing my sons room. He is 6 months old and his room needs to get done!!! We have a baby due in October and need some help with planning a nursery. I’m following Small Fry Nurseries on Pinterest. 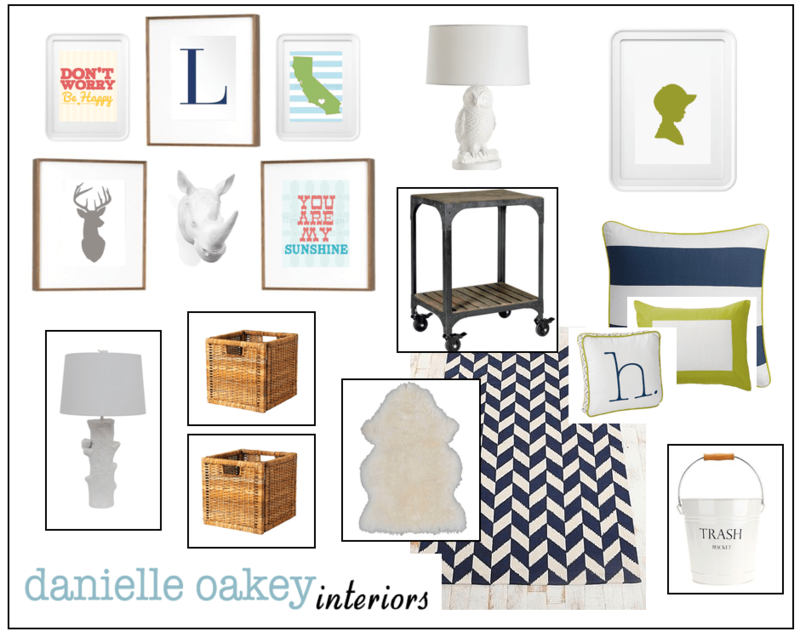 i already liked Danielle Oakey Interiors awhile back! I liked Small Fry’s Facebook page! I’d pick my family room, I’ve been mulling it over for months and still can’t figure out how to make it look great. SHUT UP!! I’d love her help with my bedroom. And I follow all of the above. 🙂 Thanks girls. This is a FUN one!!! I really NEED this!! We just moved into a new house a week ago and I can not for the life of me figure out what to do in my family room! I want it to look nice but comfortable and welcoming since I do have young kids. I hope I win! I liked Danielle on Facebook, Instagram and I follow her blog! We just moved into a new house and I need help everywhere! I’d probably pick the family room or living room/piano room! I need a shared nursery for my new baby! I’d love for Danielle to decorate my daughter’s room. Our bedroom! We’ve neglected it so since our daughter’s birth! Would love to have my dining room updated! Oh to choose! I think that I would LOVE to have her fix any of the rooms in our house. Maybe should start with the front room since that is the room everyone sees when they come over. Either my living room (most publicly seen!) or my son’s new “big boy” room; he’ll be moving out of the nursery when baby 2 arrives in August! Would love a redecorating – well actually just a decorating – of my living room!! Please, please pick me! I need some serious help with my family room…time for an overhaul. My living room is in desperate need of some designer love. Thanks for putting together this giveaway. i would choose my bedroom. following on facebook and pinterest. Such a cute room! I follow ya on FBI! I follow small fry on FBI! Love your blog too! I follow small fry on Pinterest too ! Would love to have an e design done for my living room. Love Danielle’s work and style! This would be fantastic! I love her style and am in need of help for a nursery design! Liked Danielle Oakey Interiors on Facebook! Like Small Fry on Instagram! Like Small Fry on Pinterest! Love this giveaway!! I could choose just about any room in the house but I’ve been wanting to spruce up my kid’s room…this would be perfect! Just liked Danielle on FB…although I’ve followed her blog for a long time now! I like SmallFry on facebook! Oh goodness, I really think the living room is the most seen and the most bare. But then, the master bedroom is pretty unfinished too. Definitely a toss up! Now following Danielle on Facebook! Totally a small fry Instagram friend! I would do my daughter’s room! After just moving into a new place I can’t decided what to do in my sons nursery. Nothing’s on the walls and I am just lost at what to do with it. To have Danielle’s help would be truly a blessing. I follow on Instagram! Hope your having an amazon time in NYC! I liked Danielle’s page on Facebook!! I would love some redecorating help in the kitchen! Keeping it stylish and kid friendly is a must! Following on instagram & love it! Tough choice! I would love to get my little boy’s room all finished. Or started might be the better word! Danielle is so talented! I would love to use her for my empty formal dining area or my game room. I’d LOVE to overhaul my Master bedroom! I follow SmallFry on Facebook. And, I follow on Instagram. Aaannndd, I follow on Twitter! i would have her help me with my office, not my home. is that possible? i am a child therapist and would love some help creating a bright space where my kids can heal. I like Danielle Oakey Interiors on Facebook! Our master needs some updating – new lamps, rugs, dresser. This would be great! Love Danielle Oakey! I’d love to have her design my living room! I would live to have her design our family room – when we get our new house! I would really love my bedroom redone. However, our living room is most used and that is what people see … so, probably there! So excited!!! Thanks!!! My living room. It is the largest one I have had to date and I think all the extra space throws me off. Followed Small Fry on fb. I would love to have her help with our master bedroom! I liked Danielle Oakey Interiors on Facebook. I’m going through a divorce and this has led me to move back in with my parents; a “safe haven” much needed right now. The basement “living room” needs to look like a living room–not a play room anymore. Lets get started! I liked Danielle Oakey Facebook page. I liked Small Fry’s Facebook page. I follow Small Fry Blog Instagram. Thank You! I liked Danielle on fb – hope to win – this would be perfect for my new arrival in August! I would love my master bedroom designed! It seems to always be the room that gets neglected. I would choose my kids play room. Ohhh I want to win this! I am 20 weeks pregnant with a girl, and NEED design help for her room. Haven’t even started… the only thing I have so far is a chair (custom fabric’d lazboy recliner lol) – it was used in my son’s room 😉 I have actually gotten so much inspiration from smallfry’s vendors and postings – like…black/white/gold triangle mobile? Yes please! I’m envisioning b/w room with a pop of color? Gah I have no idea and need help and now that I’ve seen her work, she’d be perfect for helping out! Pick me!! I follow Danielle on FB. I follow Smallfry on FB. I follow all of smallfry’s pinterest. I would love her to design my boys’ room! I would choose my living room! I follow you on pinterest now! we have a back porch on our house that is three season and currently just seems to be a catch all for shoes, recycling, etc. i’ve commissioned my wonderful husband into building a daybed for the space, but would love help with linens, decor, and lighting for this lovely little room. I subscribe to Small Fry Blog! i have ‘liked’ small fry on fb. thanks! would love to have the most neglected room in my house decorated – my bedroom. I follow Small Fry on Pinterest! Love you ladies! Thanks. My house needs this! I would have her decorate my much needed front room! It’s the first space you see when you enter my house and it needs help! Followed Small Fry on Instagram! Followed Small Fry on Facebook! 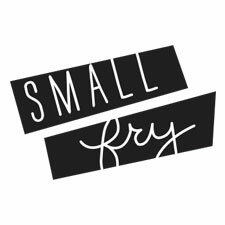 Followed Small Fry on Pinterest! We are moving into a brand new house in 3 weeks and I would LOVE Danielle’s help designing the front foyer–it’s the first part of the house people see when they come in the door, and yet, I’m so stumped on what should be displayed there. I’m moving so I need all the help I can get! I’d want to redo my craft room. 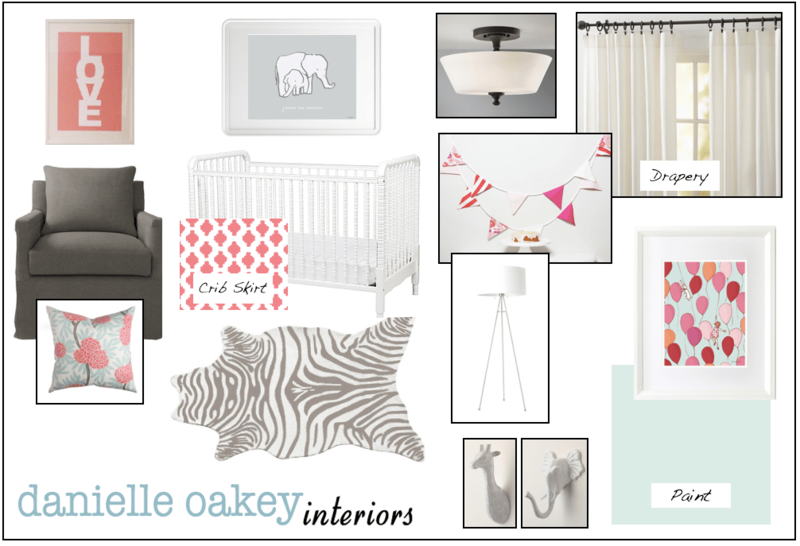 I Liked Danielle Oakey Interiors on Facebook! Our nursery! We are pregnant with our third daughter and moving into a new house! I would love to have a beautiful room for sister #3 to call her own. My living room could use some big help! We desperately need help with the office/reading nook/weird area under the stairs. I would love help in my bed room all my energy go’s to my kids rooms and mi e needs help! Would love some help with a play room for my little girl! Oh gosh please come help me with my living room! Ive liked SF on Facebook. I follow SF on twitter. My ROOM! we need help! I also follow in instagram! I would choose my bedroom. Following on Instagram. My living room needs a makeover desperately! I follow sf on instagram! I liked Danielle Oakey Interiors on fb! our bedroom needs a major makeover!!! I would love to decorate our master bath! my bedroom! i would love a peaceful little sanctuary at the end of a busy day! I would definitely do my living room – it’s where we spend all of our time!! I would love to e-Design our bedroom with Danielle! Thanks for the contest.